Are you a cat or a dog person? This isn’t a personality test — it’s the real-life dilemma set to face Chinese cryptopet collectors later this month. Cryptopets are the modern answer to popular ’90s collectables like Beanie Babies and Tamagotchi. But unlike their cute predecessors, they are tethered to unique blockchains — the technology behind cryptocurrencies like Bitcoin — that allow them to be traded and tracked securely, not pilfered like Pokémon on a playground. Canada-based “CryptoKitties” — one of the first games to use blockchain technology — announced last month that it was working with Hong Kong-based game developer Animoca Brands to bring the multicolored digital felines to the Chinese mainland. The kitties, which can be bred and traded, have their own “DNA” encoded in a unique blockchain. 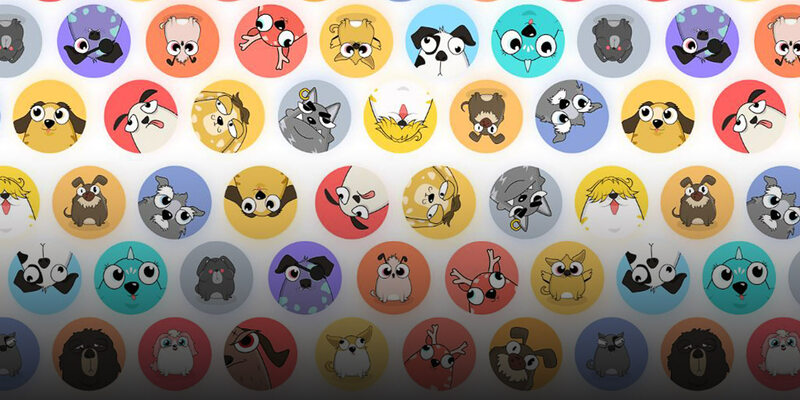 After their launch in November, the digital pets became so popular that they accounted for 11 percent of traffic on the network for Ethereum, the blockchain technology used by CryptoKitties, and caused a massive trade backlog. Currently, over 200,000 CrypoKitties worth a combined $19 million have been traded, with the priciest pets fetching over $100,000. But when the cats come to China, they’ll have to face off against another cryptopet launched recently by internet giant Baidu. The company’s cryptodogs — “Laici Gou” in Chinese, pronounced similarly to “let’s go” in English — bear a remarkable resemblance to CryptoKitties. Like their Canadian counterparts, they’re tradeable, cartoon animals with novelty features such as eye patches, earrings, and reindeer antlers. 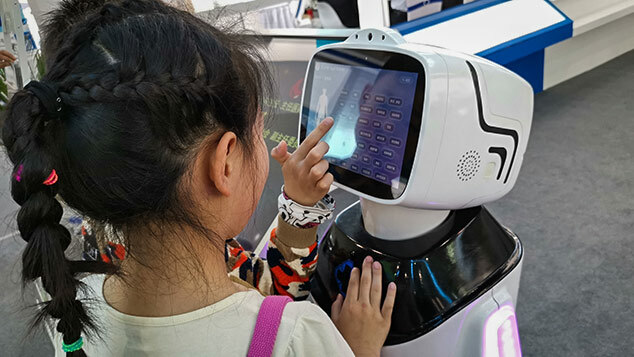 According to a statement Baidu sent to Sixth Tone, the digital dogs are only in the internal testing stage, although eager cyberpet owners can already adopt them for free. Sixth Tone’s own adopted pet, for instance, is a rather downtrodden-looking white dog with large, purple eyes and a black toupee-like tuft of fur on its head. Sixth Tone’s pet cryptodog, Steve. The e-dogs already have a fan in 23-year-old Yu Xinchen from eastern China’s Jiangxi province, who last week adopted two free cryptodogs from Baidu: an angry-looking purple dog and a smiley, wide-eyed black dog. While she “adores dogs” and likes that they’re free, Yu told Sixth Tone the technology is not very mature, and that the pets’ digital renderings appear too basic. As for whether she’ll trade her dogs, Yu said: “Maybe, if I find a more adorable one. 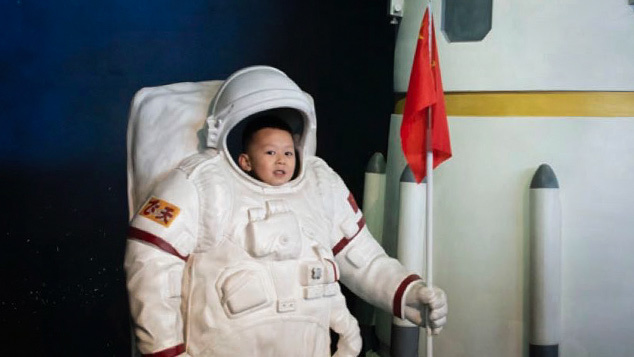 But I’m not going to think of it as an investment.” She pointed out that Baidu could end up being more competitive than “CryptoKitties,” as it was traded on a different network that might not be subject to the same delays. Yu also has Ether, the unit of cryptocurrency traded over the Ethereum network, and plans to purchase a CryptoKitty in the future — this time as an investment. Side-by-side screenshots from the ‘Laici Gou’ and ‘CryptoKitties’ websites. Giang told Sixth Tone that China is already the third-largest market for the game, which currently boasts 250,000 players worldwide. Next week, the company plans to launch it for iOS in greater China and Singapore. However, his company had been warned, he said, that “anything could happen” in China, which has recently been cracking down on cryptocurrency trading. When “CryptoKitties” launches, its mobile app will be in Chinese, the cats will have Chinese-language bios, and culture-specific editions will be offered, including an “888” cat — a number considered lucky in China. When asked why Chinese players were relatively interested in “CryptoKitties,” Giang — who isn’t allowed to have a cat of his own to avoid manipulating the market — responded: “I don’t know, they’re adorable?” While there were a range of reasons someone might get into kitty trading, he said, the company’s main purpose was to use the felines to educate people about blockchain technology. Giang added that in the future, his company plans to roll out augmented reality features within “CryptoKitties” to make it more of a game. Contributions: Zhang Liping; editor: David Paulk.